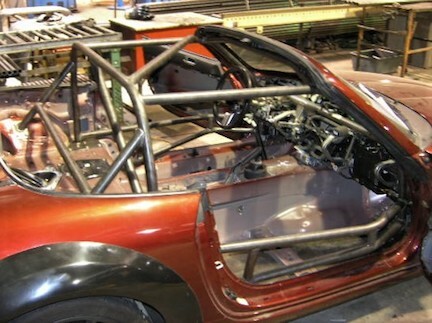 Hard Dog Cages for the NA, NB and NC Miata are designed for use in sanctioned events or street use and are tailored to meet event requirements and / or personal preferences utilizing materials and hardware that exceed SCCA and NASA guidelines. Weld together or bolted sleeve installation joints available. Fully compatible with stock hard tops and convertible tops with stock latches. Glass or plastic rear window soft top versions available for stock door panels or gutted doors. 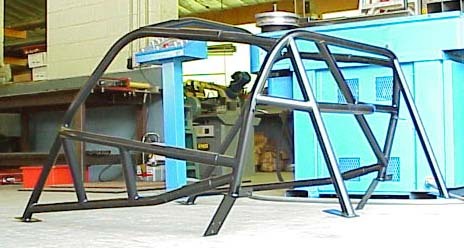 All Hard Dog Cages and Roll Bars are designed using our time proven superior Bolt-In installation systems. We design and build our safety products not only for ease of installation. Safety is paramount and the continuous focus of the design criteria. Our Bolt-In mounting systems, using properly designed reinforcement plates and high strength hardware, offer superior durability over a structure welded to a sheet metal unibody chassis. Cages are built to order. Posted pricing is for the standard diagonal, door bar and seat-back bar configurations. 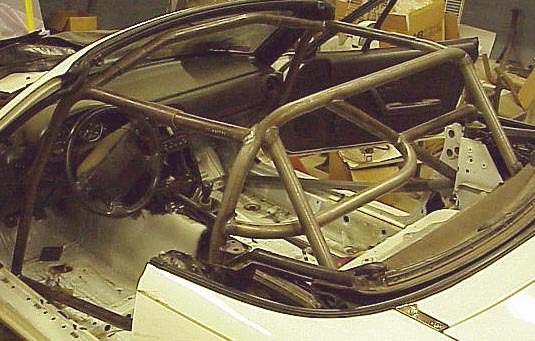 You can choose diagonal braces to the rear supports (as with our roll bars), various harness / seat-back bar setups, multiple door bars and the list goes on. Contact Us for consultation about your specific needs, pricing information and freight quotes. Shipment is via truck freight. A commercial 18 wheeler accessible address or pick-up at the freight comany's terminal is much preferred. Not sure what cage configuration you need? Contact Us! Full driver seat travel. Slight loss of passenger seat recline with main hoop diagonal brace. 1.5" o.d. x .120" wall DOM carbon steel tubing. 1.75" o.d. or .095" wall available. Standard diagonal Brace in the main hoop plane. Variant or additional diagonal bracing on request. for stock door w/ panel.